There is so much ancient history lying in the landscape among the western extremes of Bewick Moor that it is difficult to know where to start. So we’ll begin with the biggest feature: namely, Bewick Hill, which stands out like a sore thumb from pretty much any direction you care to view it from. 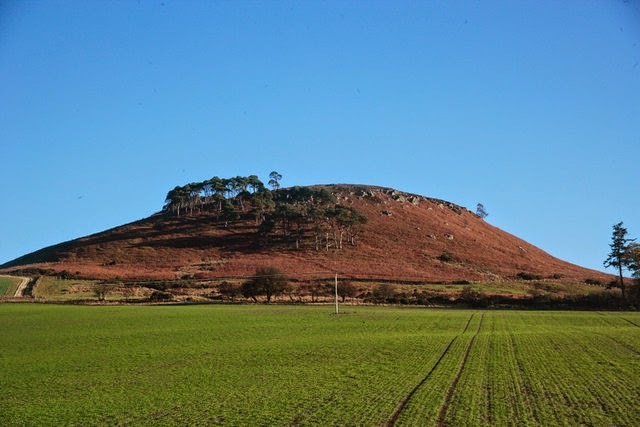 Traces of human activity go back more than 5,000 years in these parts; and Bewick Hill is the site of one of the area’s more recent features – an unusual hillfort known as Old Bewick, which dates from the Iron Age. It consists of two small, semi-circular enclosures sitting next to each other, with their open sides set against a cliff edge. A larger rampart then surrounds these enclosures, with traces of further embankments nearby. The western fort contains a collection of hut circles, with its partner holding some less well-defined stonework. The site may well have been occupied into the Roman period. A little to the east lie an important collection of ‘cup & ring’ rock art panels – one of which, Old Bewick 1a (pictured), is one of the best examples of its kind in the UK. 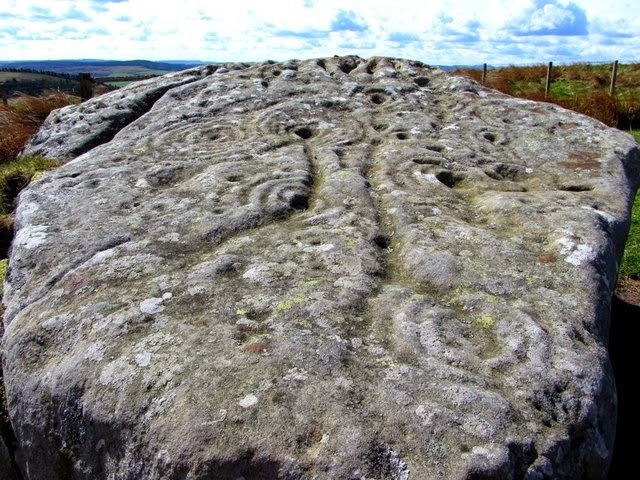 These extraordinary relics of our past date (it is thought) from around 4,000 years ago, and it was here at Old Bewick that such carvings were first recognised as a man-made phenomenon. Despite extensive study, no one has been able to work out with any degree of certainty what they mean and why they were created, and similar examples are scattered all across this corner of Northumberland. In between, chronologically, the formation of the cup & ring etchings and the later Iron Age hillfort, the Bronze Age burial cairn was laid down at nearby Blawearie, a little to the north. First discovered in the 19th century, it is a substantial affair containing at least four stone-lined burials, along with pottery, a flint knife and a jet and shale necklace. More investigations were carried out in the 1980s, all of which raised more questions than answers. Other stuff lies close by. A second hillfort can be found a little further east, the odd Iron Age farmstead has been revealed by cropmarks and there is evidence of activity through the Roman period and into the Anglo-Saxon era. There are even a couple of World War II pill-boxes built into Bewick Hill – all of which adds a little extra depth and interest to the atmospheric landscape hereabouts.